Welcome to Make it in Minutes Monday. 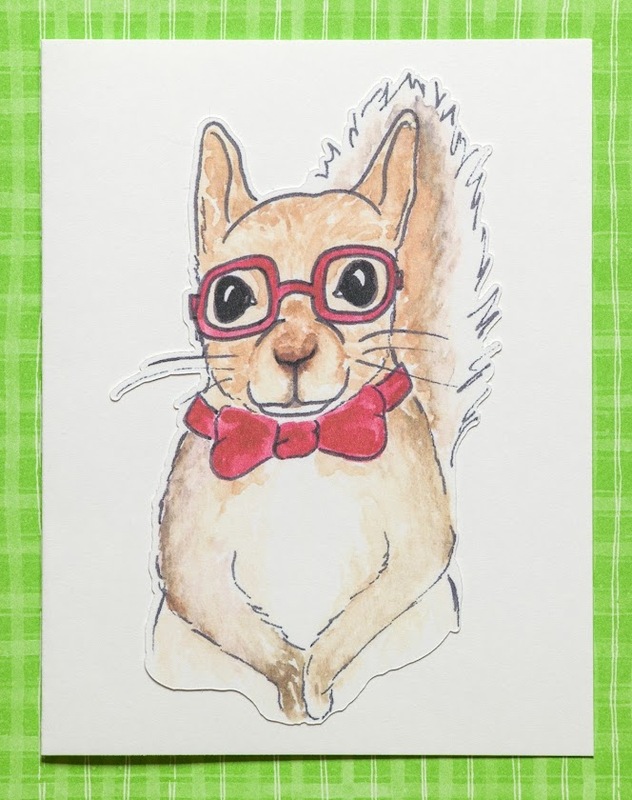 I thought it would be fun to feature quick and easy cards and projects that take only minutes to make, but look like you spent more time making them. I love making note cards and I just had to use these print and cut images from Cricut. 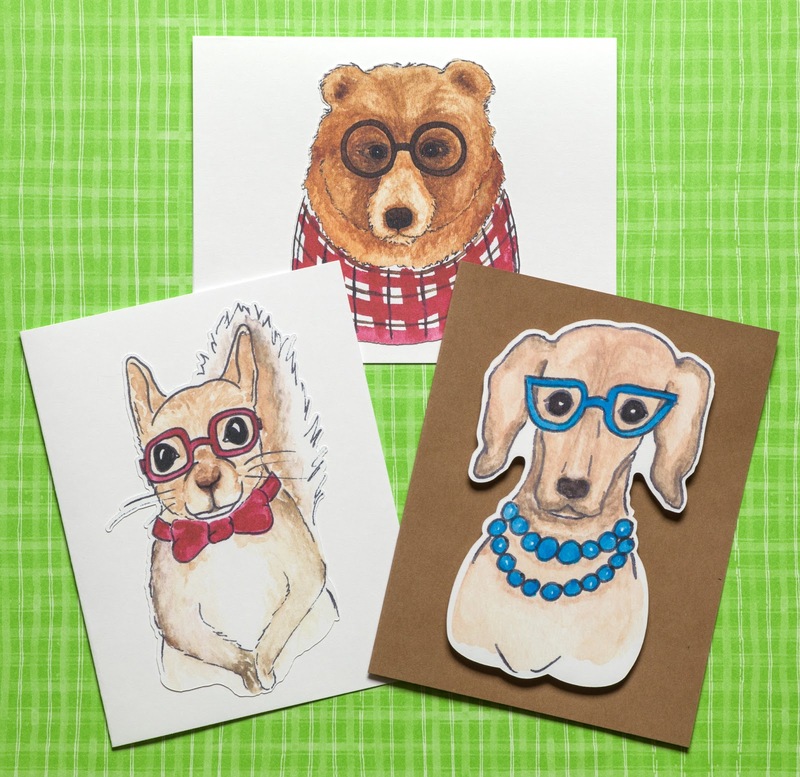 These images are from the Kori Clark Hipster Animals and are so trendy! I sized the Hipster Squirrel (#M1420EF) to fit a standard 4.25 x 5.5 inch card and was done. I love using Cricut Print and Cut images! 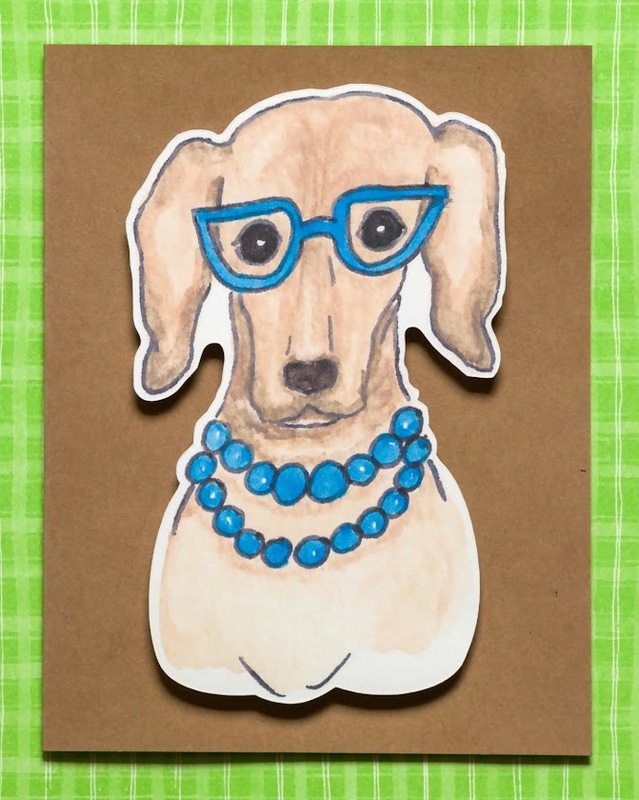 I sized the Hipster Dog (#M142F12A) to fit a standard 4.25 x 5.5 inch card. This dog looks just like my niece’s dog, Drax. I used dimensional squares for added dimension. 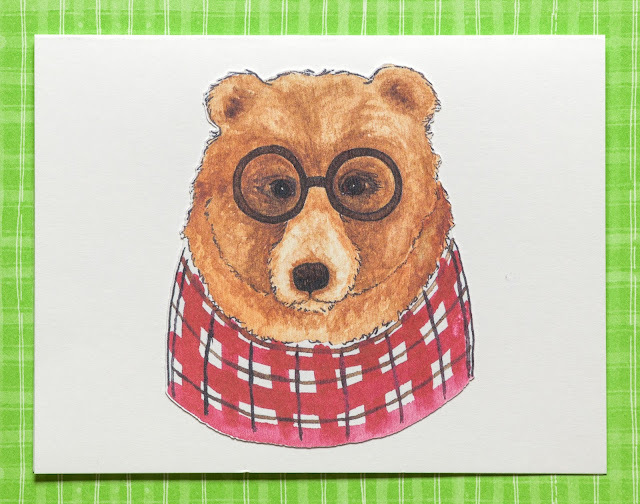 I sized the Hipster Bear (#M142F103) to fit a standard 5.5 x 4.25 inch card. The bear is my favorite. Thanks for stopping by and have a marvelous Monday! I love these critters too. When they were free on Design Space, I made a few cards too. see them at Bitten by the Bug2 (https://heather-bittenbythebug2.blogspot.com/) and there is a link to my blog there. These are really make it in minutes - how fun. thanks for sharing.